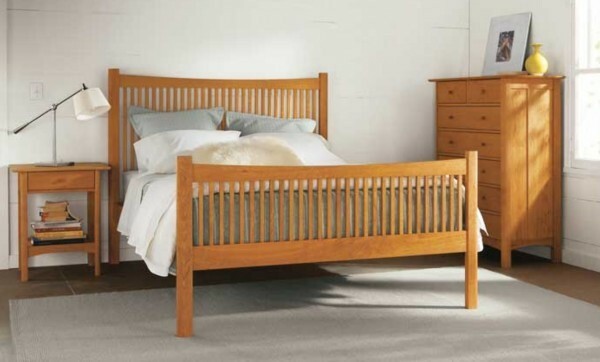 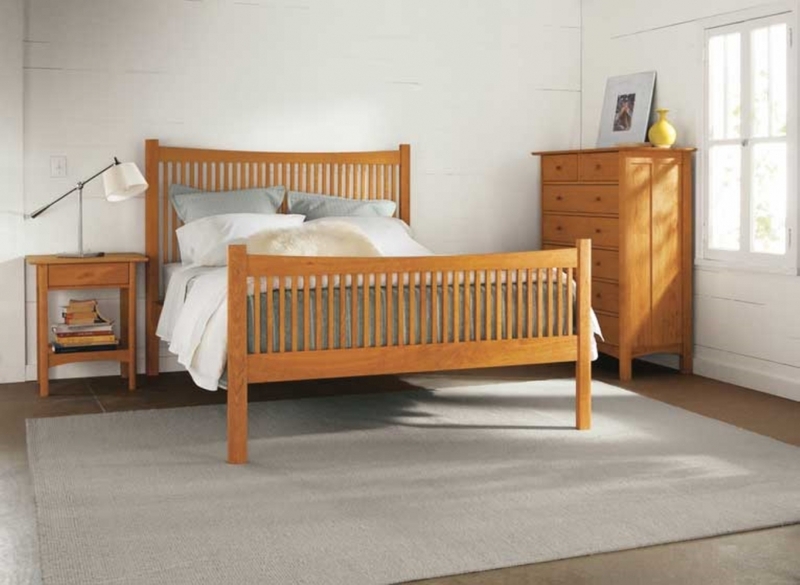 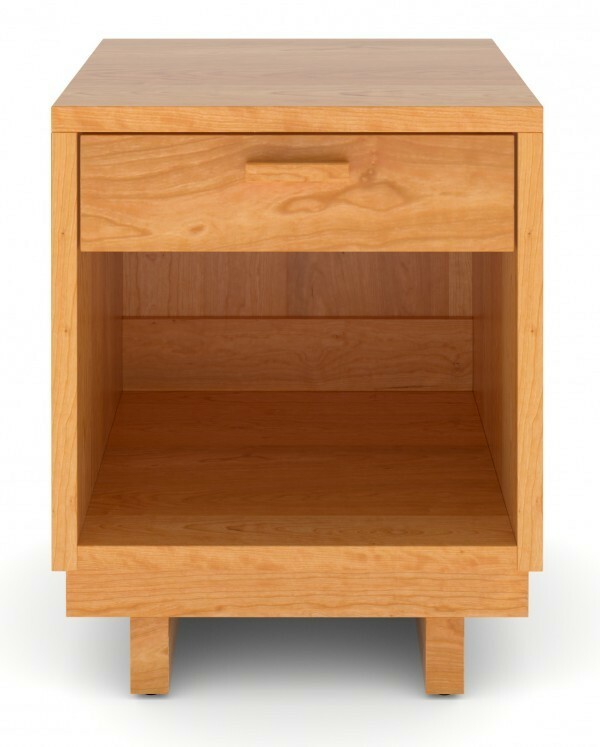 Custom maple Mission low 1-drawer nightstand with shelf; 18"D x 18"W x 22"H.
Cherry Heartwood bedroom set - queen bed with high footboard, 1-drawer nightstand, and 7-drawer dresser. 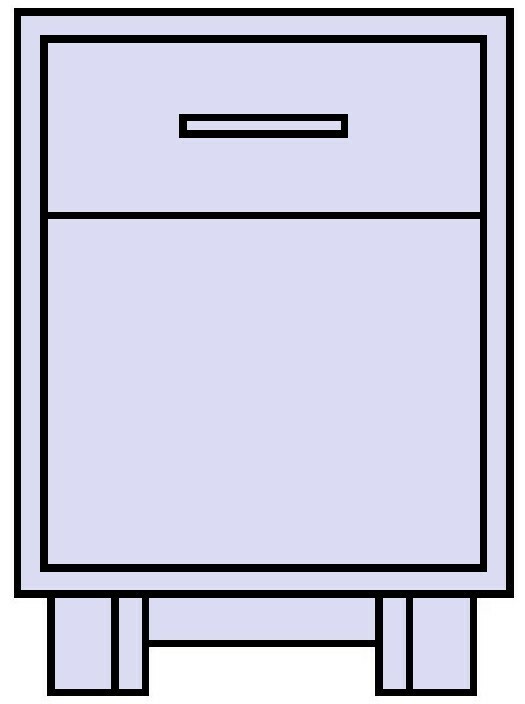 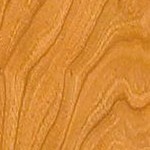 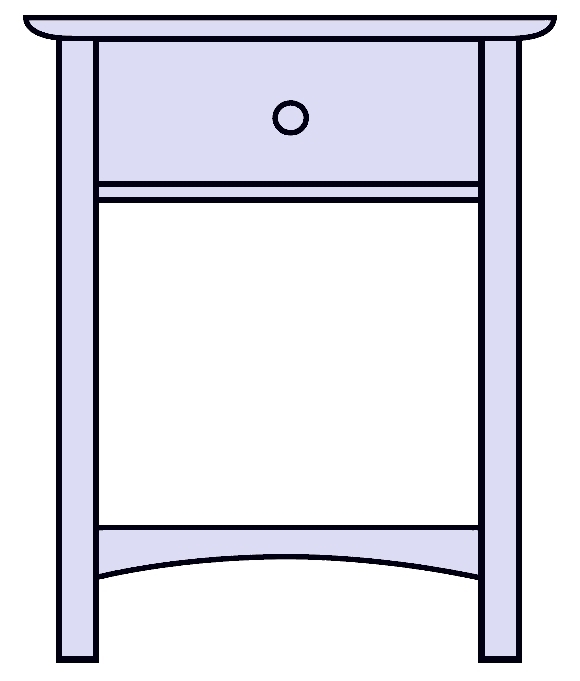 Drawing of high 1-drawer nightstand. 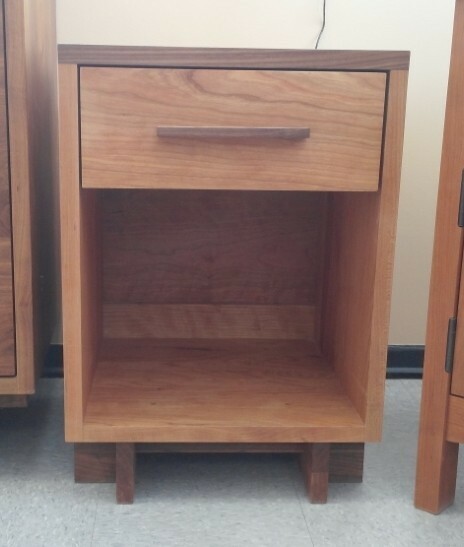 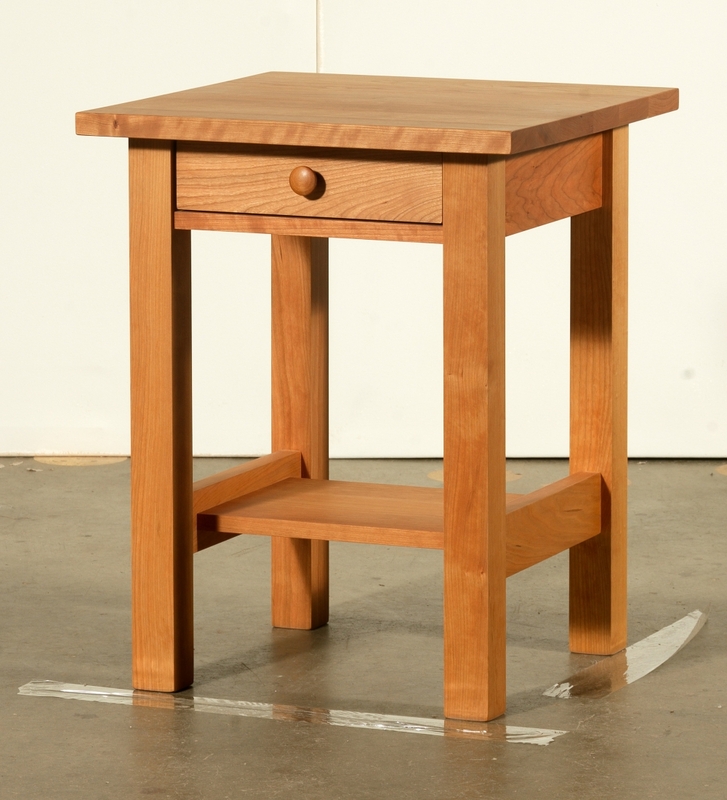 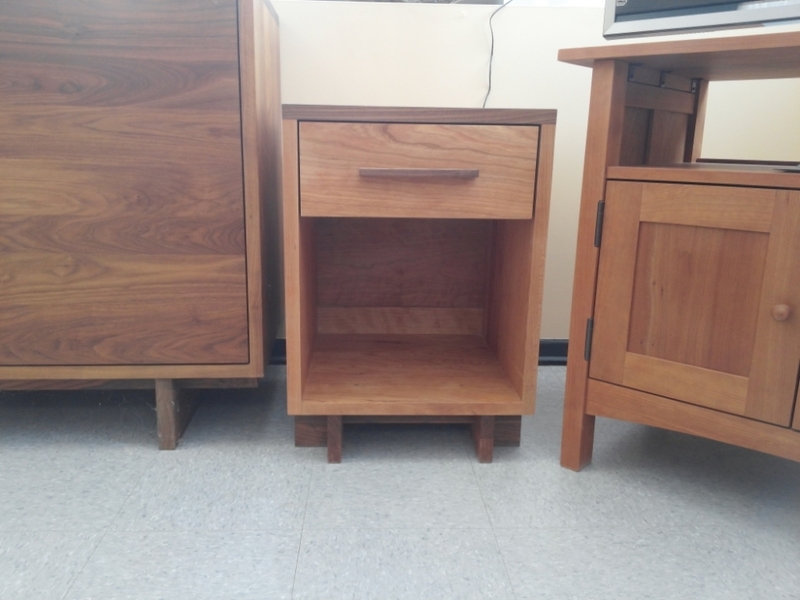 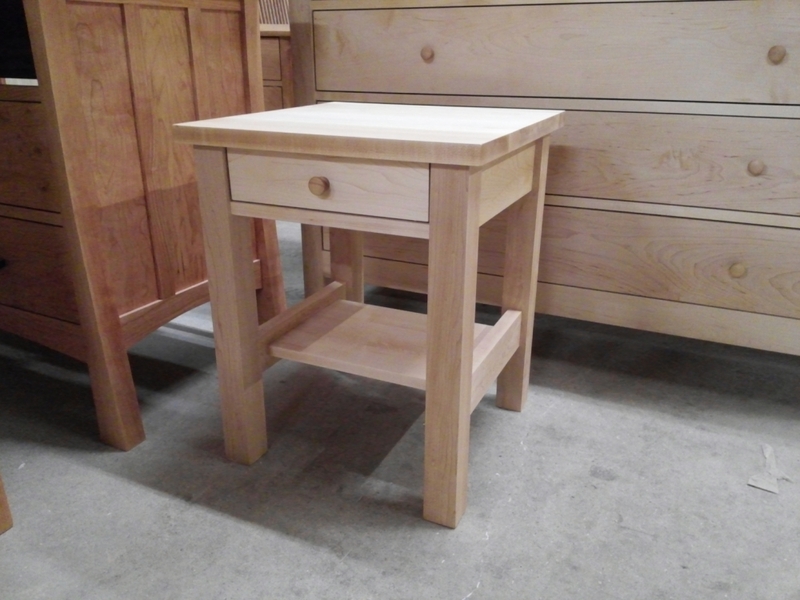 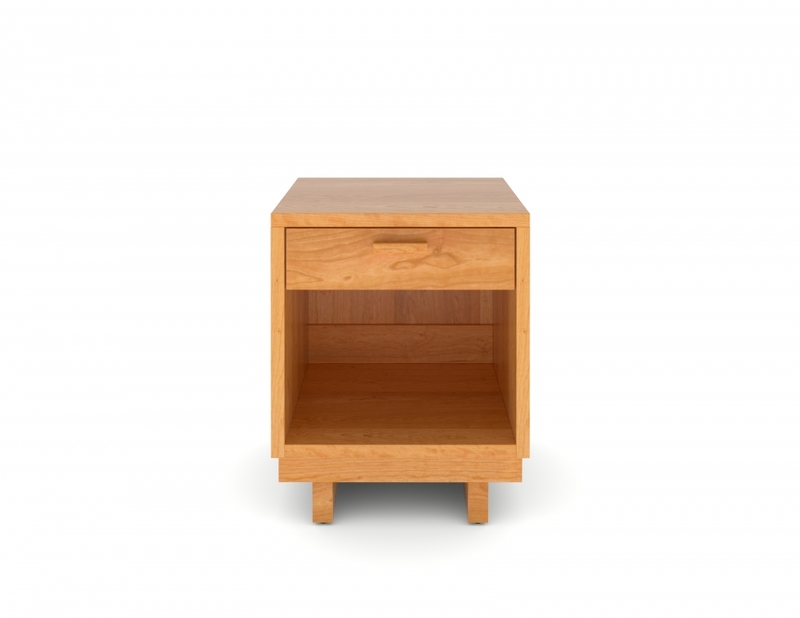 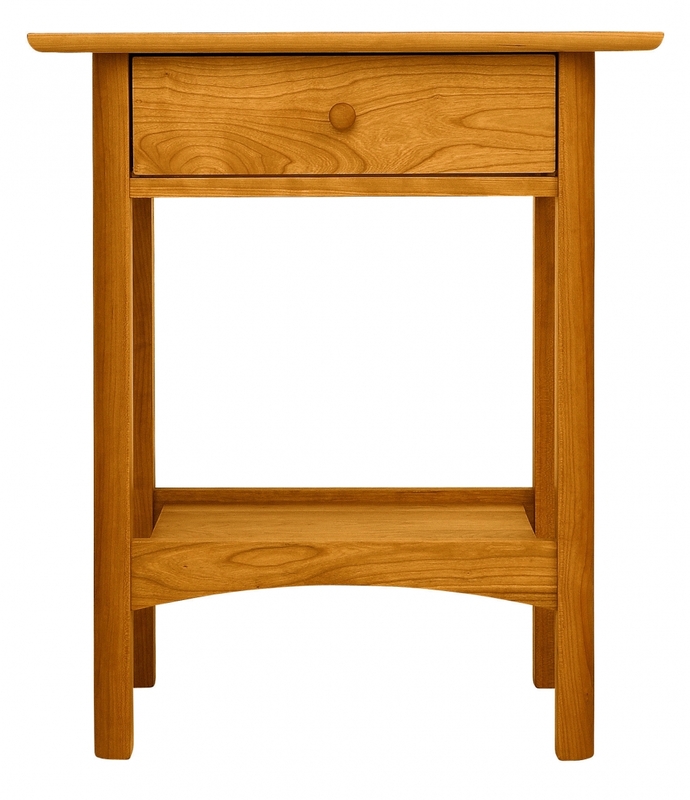 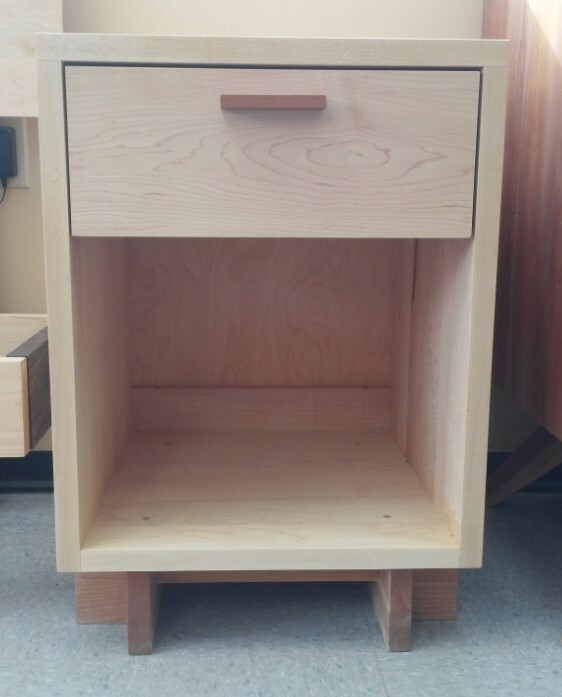 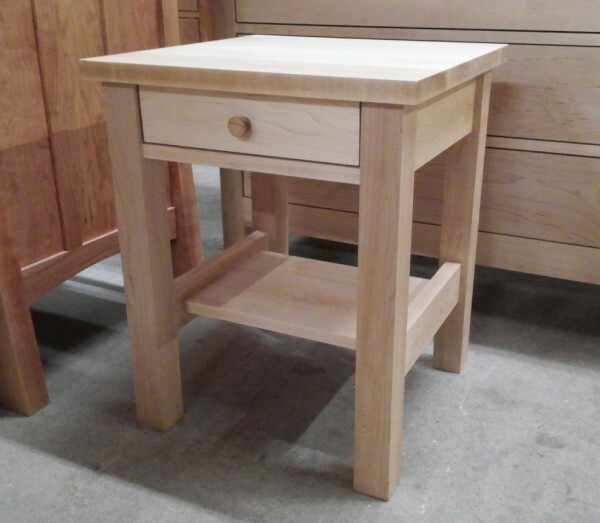 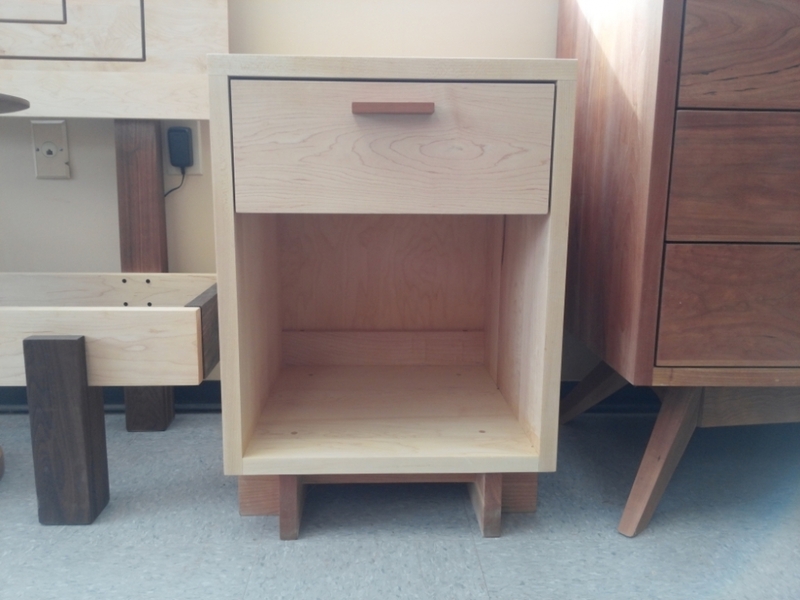 Maple Loft high 1-drawer nightstand, shown with cherry accents. 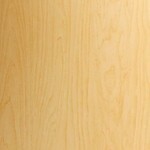 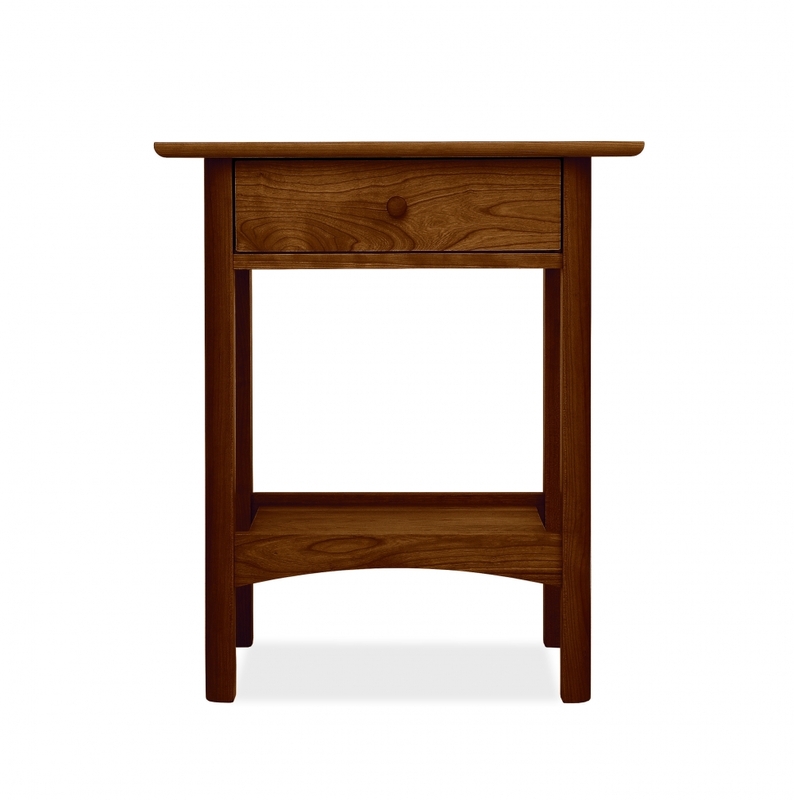 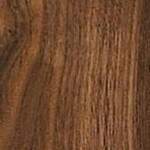 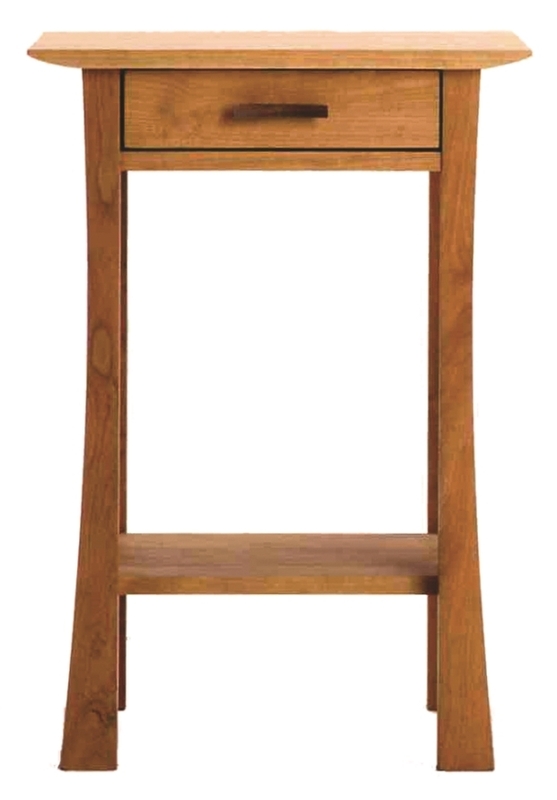 18.5"D x 18.5"W x 28"H.
Cherry Skyline high 1-drawer nightstand with walnut top and accents; 18.5"D x 18.5"W x 26"H.